Cocktails are usually celebrated most in summer, synonymous with rooftops, sunsets and the beach. But this doesn’t mean we should miss out on cocktails in winter, when we need something warm and comforting the most. I love a warming cocktail in winter time, especially by the fire on a cosy night in. Winter has finally arrived in Melbourne and the dreaded cold and flu season which comes with it. 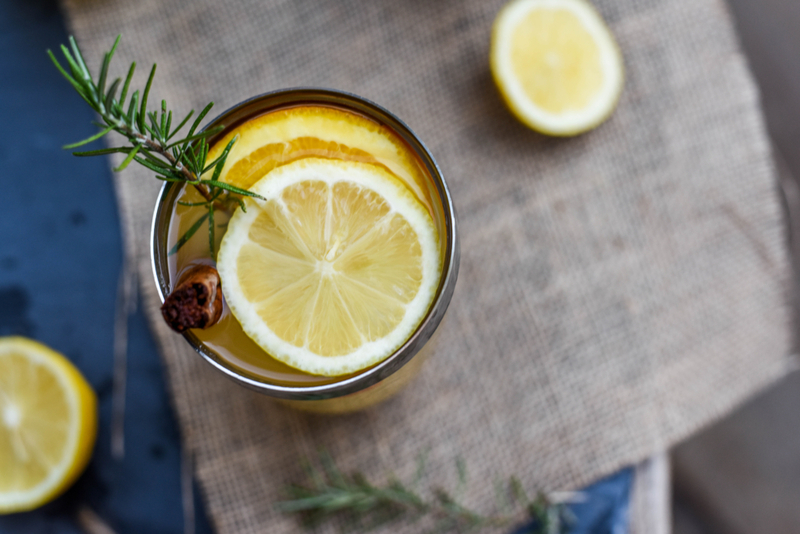 When I feel like my body is trying to fight off a virus, I up my Vitamin C intake and drink plenty of hot soothing drinks, often with lemon, honey and ginger. For me, it works miracles in fighting the severity of cold and flu symptoms. 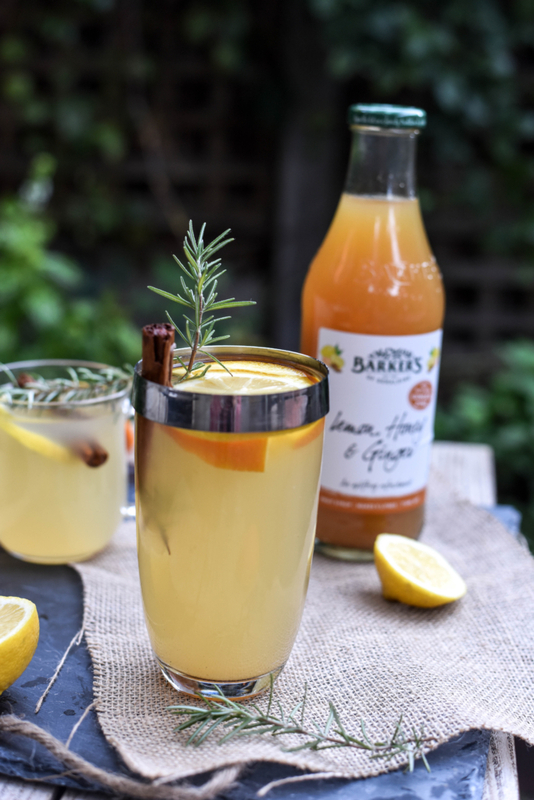 I have heard a lot about Barker’s of Geraldine on the grapevine recently and couldn’t wait to try their wonderful syrups in a winter inspired cocktail to show this cold and flu season who is boss. Established in 1969, the Barker’s of Geraldine is on the site of the family’s original farm, located eight kilometres from the South Canterbury town of Geraldine which is nestled in the picturesque lea of the Four peaks mountain range in New Zealand. The farm is now a thriving business, making world-class jams, chutneys, syrups and condiments. The art of preserving has been passed down through generations of Barkers, starting with grandmother Constance Barker who sourced inspiration from the homestead’s vegetable garden and orchard: Forty-seven years later, they are still preserving on a corner of their original family farm. 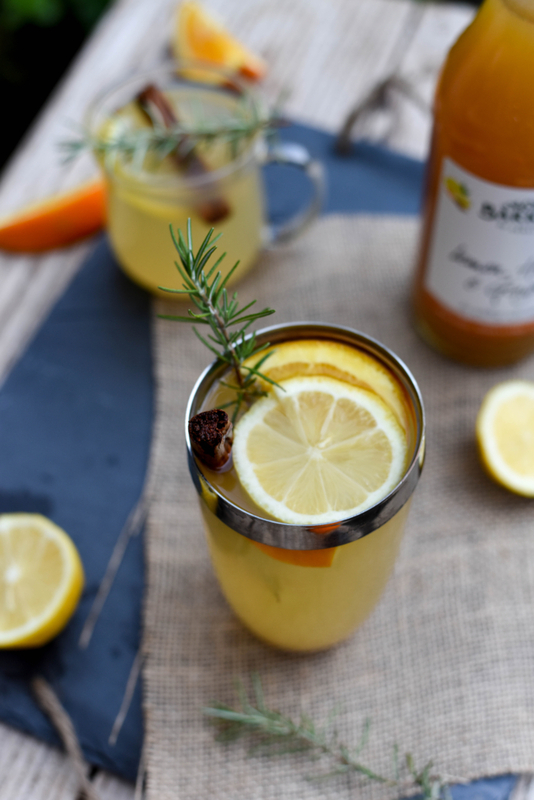 This Spiked Winter Punch is a breeze to make, and perfect for a cosy night in by the fire. It can also be used without the whisky, or substituted with rum. 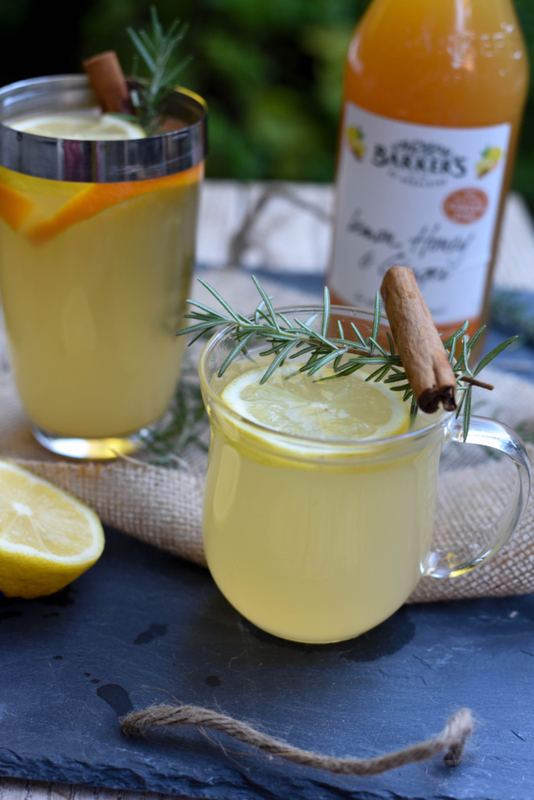 I used the Barker’s Lemon, Honey & Ginger fruit syrup in this recipe. 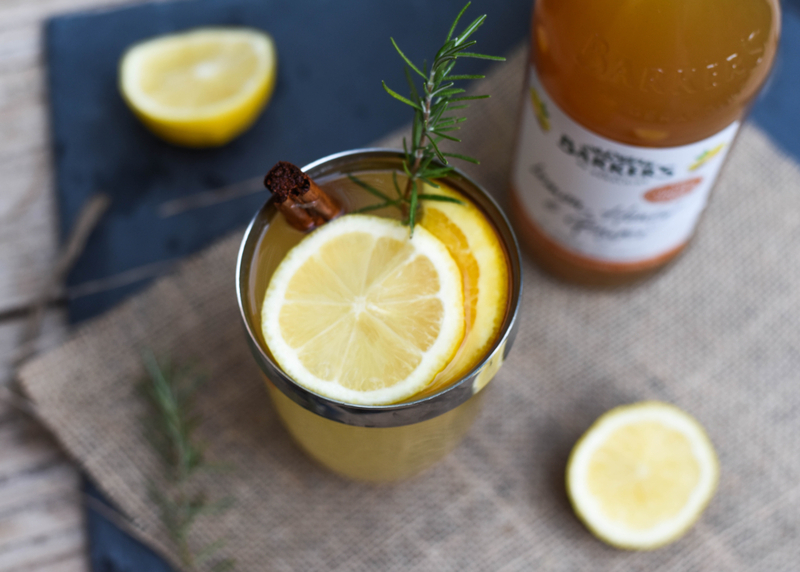 It’s a great source of Vitamin C and is made with New Zealand honey. What I love most about this syrup is that it doesn’t have any preservatives, artificial sweeteners or colours or flavour. 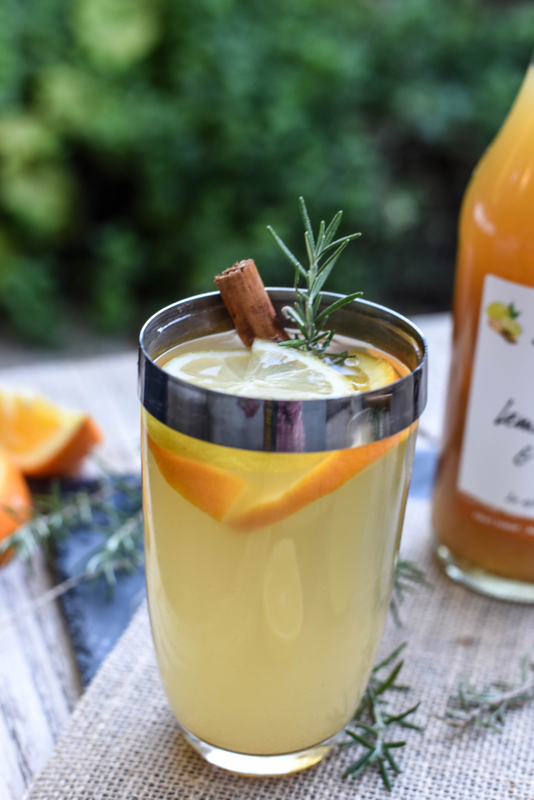 The addition of ginger and cinnamon gives it a nice zest, complemented with citrus fruits. It makes the perfect winter warmer. And you’ll be fit to fight the cold and flu season in no time! 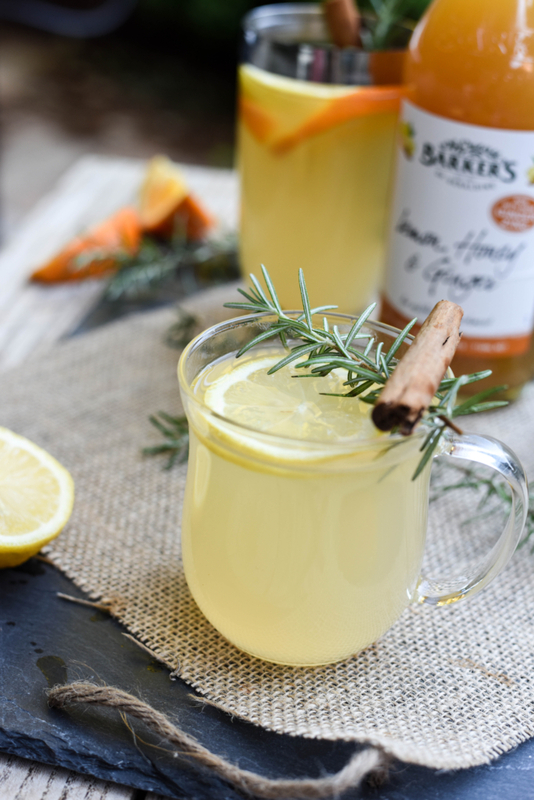 Barker’s Lemon, Honey & Ginger fruit syrup is available in Coles. 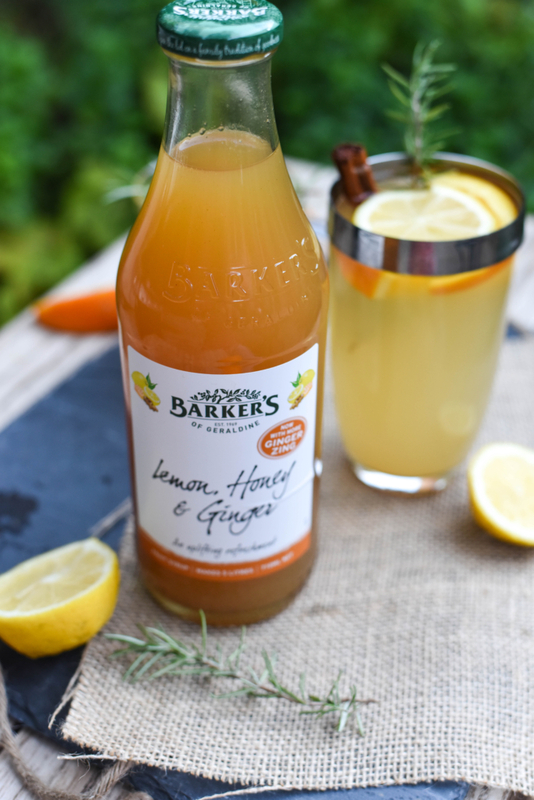 This post is in collaboration with Barker’s of Geraldine.